When my friend first mentions about Gangnam 88 to me, the first thing that pops out in my mind is the Korean dance and music. 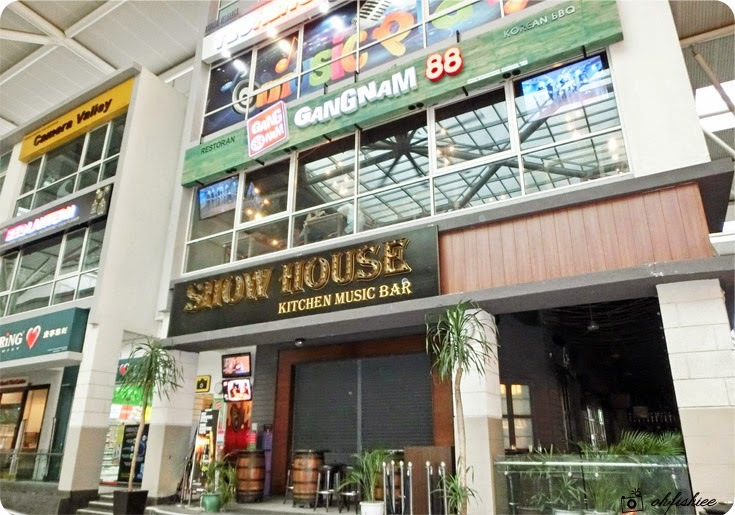 I then realise that it is actually the name of a rustic restaurant that sets the stage for authentic Korean meals with its hardwood furniture, wood ceiling panels, grey concrete walls, and booth seats to seat hunger busters. 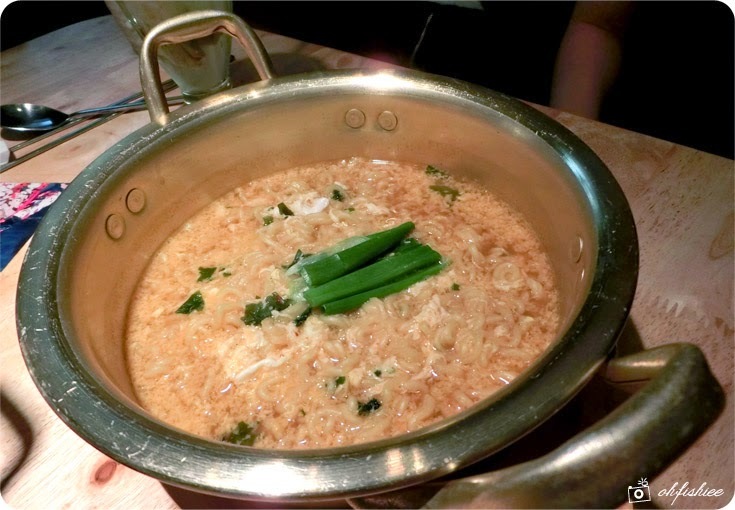 True to its name, the restaurant is injected with plenty of fashionable influence from Korea. An ode to the popularity of Korean culture overseas, smooth complexioned Korean pop stars plaster the walls in reminder of home coupled with memorabilia propped upon every available shelf space. 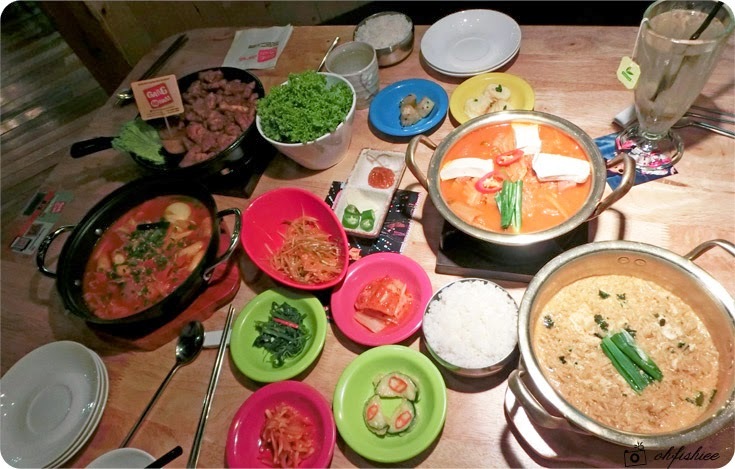 Glancing through the menu, I notice that it focuses on a wide variety of popular traditional Korean dishes such as kimchi soup, bibimbap, ramyeon, pancakes and barbecue assortments. The level of spiciness here is comparable to those in Korea, however most of the items here come with a non-spicy variation too. 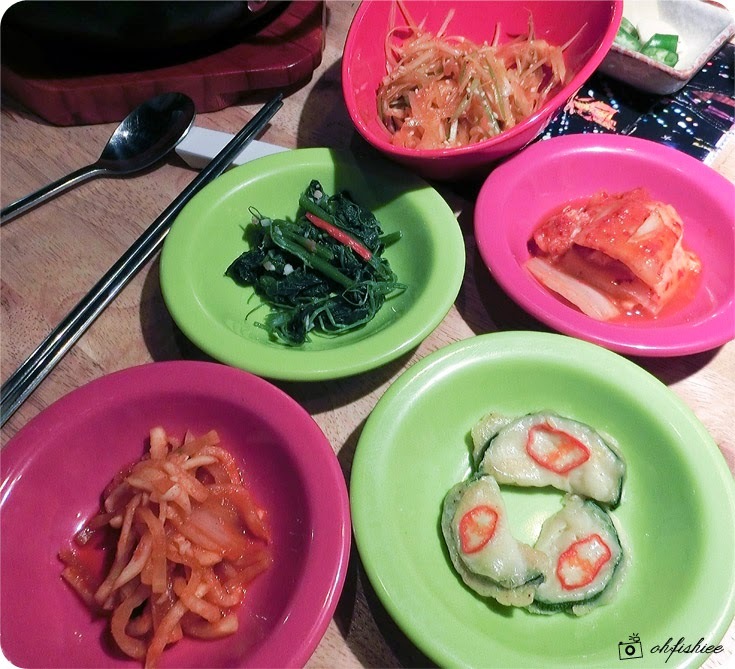 We are served with 7 small platters of Korean side dishes, mainly consisting of tofu, eggs and assorted fermented vegetables. Love the service here, as the staff refills them everytime he sees any empty plates. 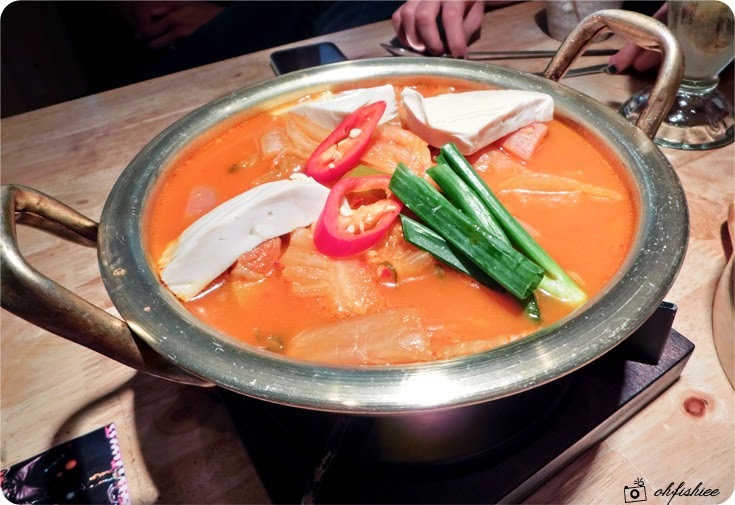 Using the recipe passed down in the family for 30 years, Gangnam 88 prepares the freshly cooked kimchi stew in traditional taste every morning. Besides fermented kimchi, the broth is generously filled with scallion, pork belly, tofu and noodles. Definitely a perfect comfort food during cold days! 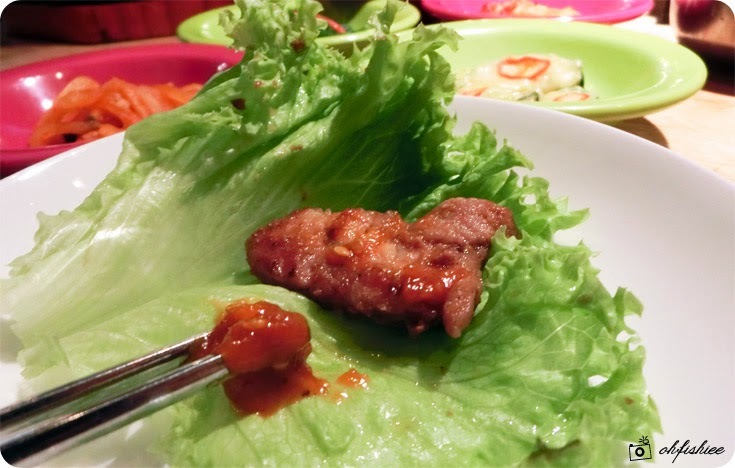 Among meat dishes, seasoned bulgogi or galbi are the Koreans' favourites that you must not miss. 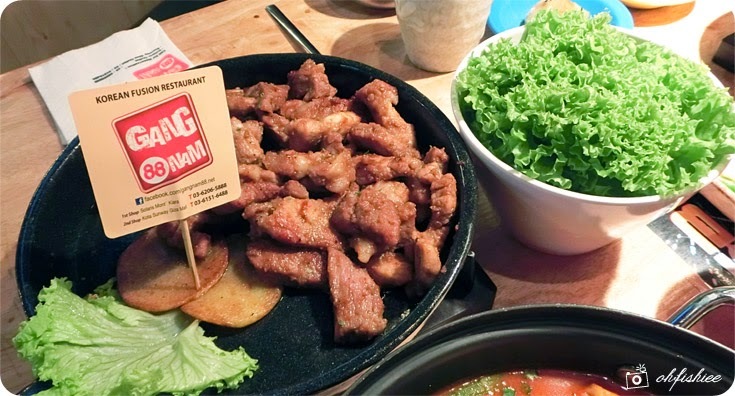 The fresh, high-quality pork here is marinated in a way that it gives the meat a delicious sweet soy flavour and amazing tenderness! 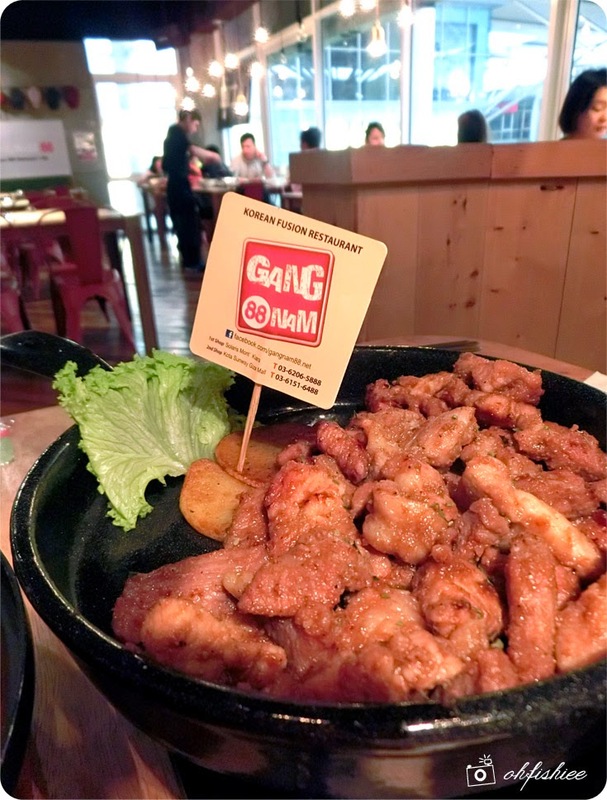 Plus, their house special savoury pork ribs sauce is a traditional recipe, originated from South Korea Jeju Island restaurant since 30 years ago. We order a large portion for sharing, and I'm amazed that every piece of the BBQ pork is juicy and full of flavours. Best wrapped with the vegetables and sauce into a roll for the best enjoyment. Oh did I forget to mention that the vegetables are refillable? 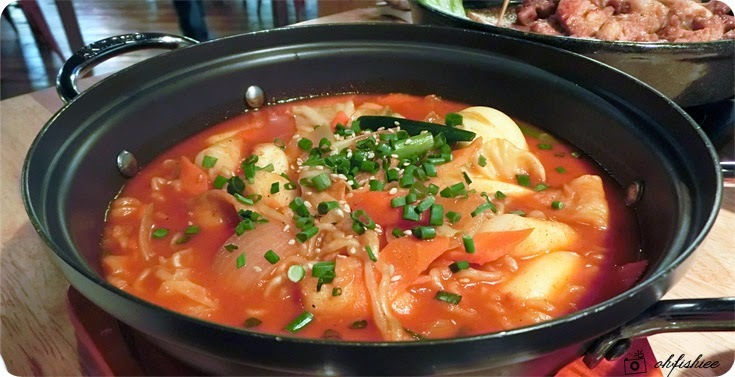 Unlike the kimchi stew, the broth in rabbokggi is thick and creamy with robust, sweet-spicy flavour. 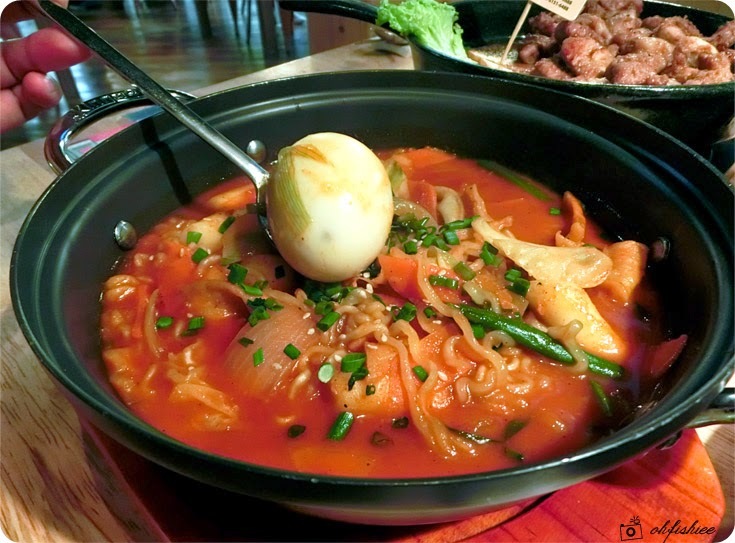 Here it is served in a hot pot along with Korean ddukbbokki rice cakes on a bed of Korean ramyun noodles. Besides egg and kimchi, I wish they can add more rice cakes in it. 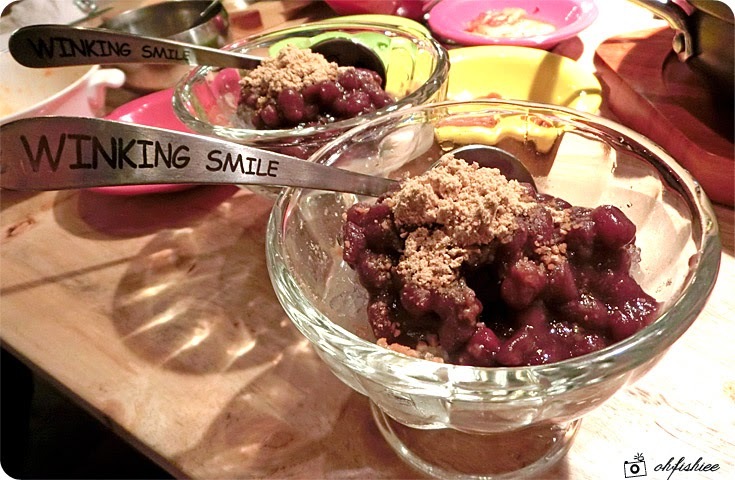 Here our traditional Korean feast ends with a contemporary dessert--- Soft, mushy red beans and shaved peanuts sitting on a bed of shaved ice. An unique combination that suits the sweet tooth yet not too cloying at all! 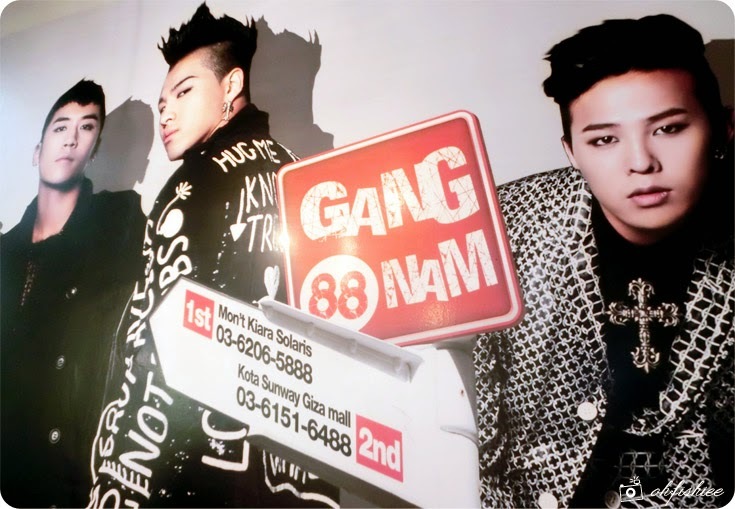 Gangnam 88 has two outlets for now, one at Solaris Mont Kiara, another in Sunway Giza. 1. 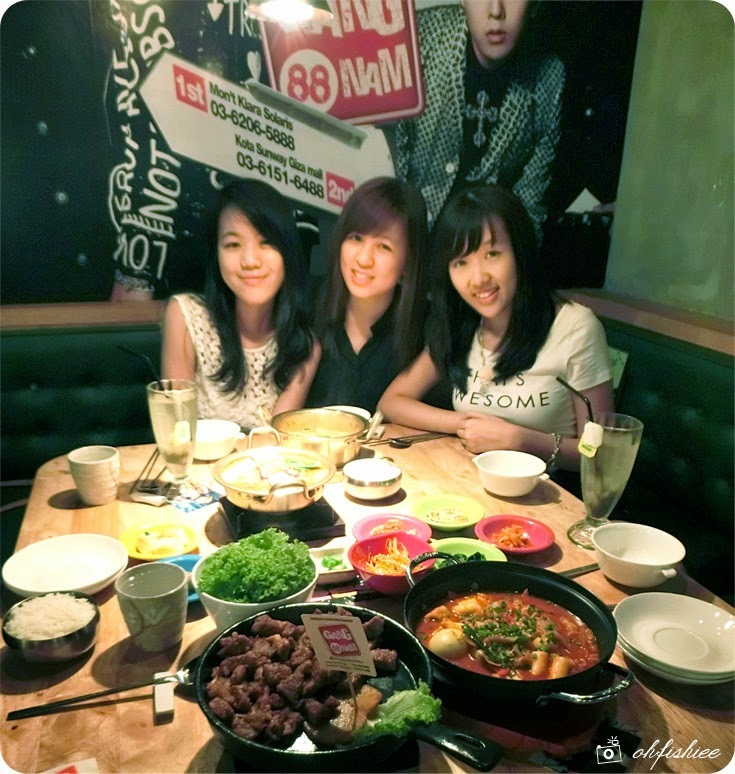 Gangnam 88 is a perfect venue for casual dinners and family outings. 2. 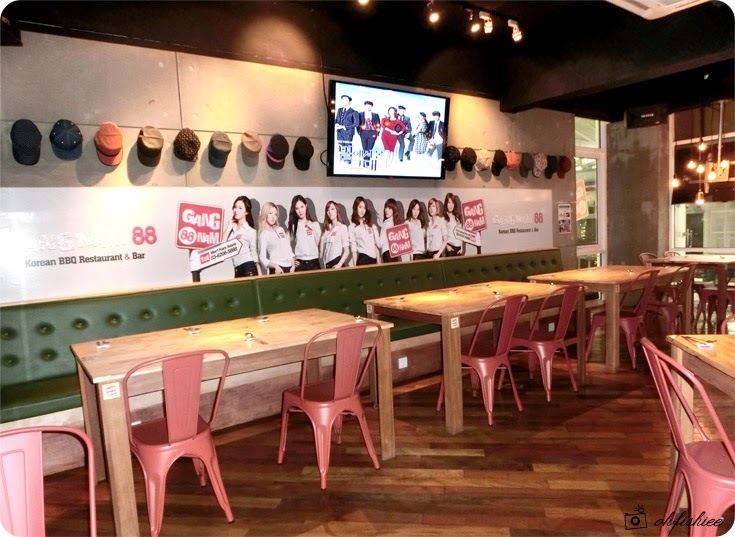 Ambiance wise, it is cool to dine along with pretty Korean stars' posters, and the ventilation is pretty good. Won't feel stuffy at all! Bluestacks app gamer, youwave, nox app gamer, andyroid as well as a lot more. mobdro for kodi It supports Chromecast and from the phone, you can directly view on your cinema.